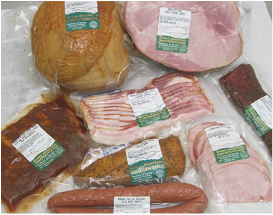 Come purchase any of our products in our retail/outlet store located in our processing plant at 341 Route 5 South in Windsor, Vermont. 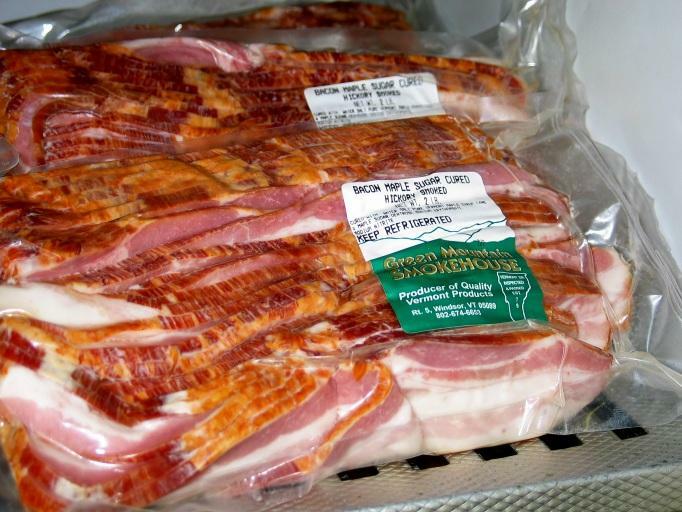 Ask for Green Mountain Smokehouse products at your local restaurant or grocer. Canadian Style - 8 oz. Smoked Boneless Chops - 12 oz. avg. Smoked Boneless Pork Loin - 4# avg. garlic/herb​ seasoned - 10 oz. avg. Smoked Polish Kielbasa - 1# avg. Smoked Andouille Sausage - 14 oz. avg. Rosemary, Red Wine & Feta - 7 links to 1 lb.